As a freelancer, I have the opportunity to work on some interesting projects, and recently I was able to work with Marrero Publishing in Tucson on a mobile app for Quality Connections Marketing in Colorado. Quality Connections provides printed versions of coupon books for local area merchants in Colorado. These books are printed five times a year, and they wanted an application that would provide the same details as the print version, but offer additional functionality for users. The application uses geolocation to provide users with details about the merchants listed on the app, including distance from, and directions to, the merchant. Users can also maintain a list of favorite merchants so that they can quickly see new coupons as they become available. The app also provides push notifications to let users know that new coupons are available. 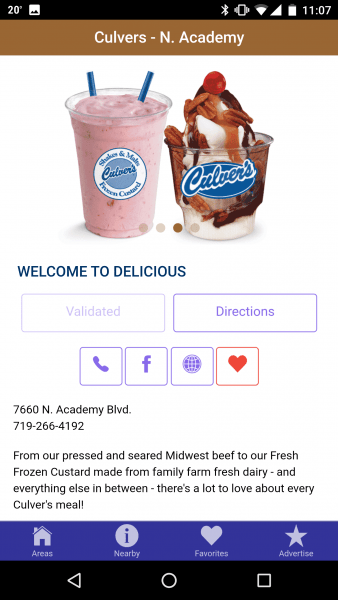 All the data on the app can be edited by administrators of Quality Connections using the provided administrative tools; the updated data takes immediate effect for all users of the QC Coupons app. The app was built with another developer, and we used git to manage our codebase, and Pivotal Tracker to manager our workload. Please view the Google Slides Presentation for a more detailed description of the application and administrative tools.